Ruline Steininger proclaims her choice at Iowa’s early voting! 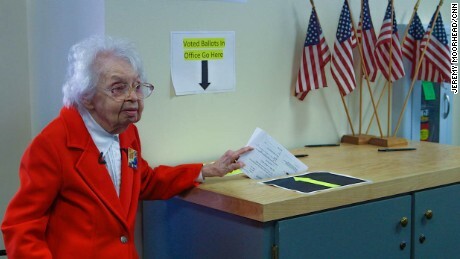 Steninger will turn 103 in April , but her primary goal is to vote in the general election. That was then, the Primaries have long been over. 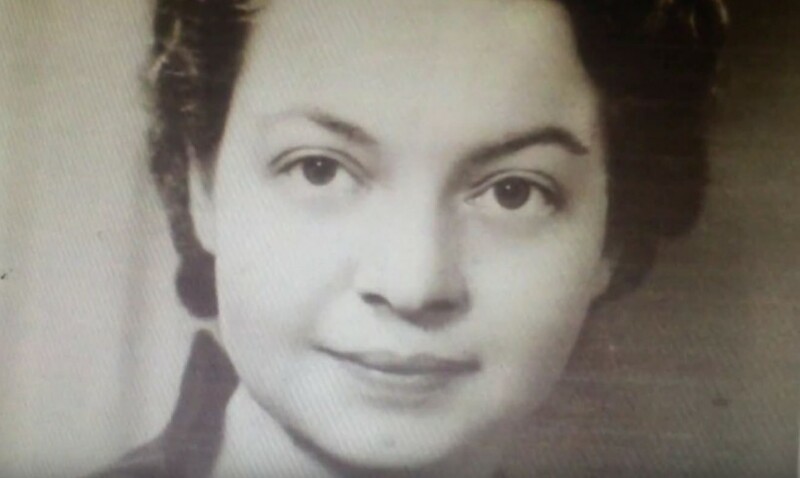 This is now, Ms. Steininger is alive and very well, and early voting, which allows US citizens to cast their ballots before the first Tuesday that follows November’s first Monday is now on before the November date for 2016 general elections. The difference is clear, the thinking is different from ours in Nigeria. She is following her candidate to the end and she knows the implications of backing the wrong candidate. I pray that Americans will make the right choice. I admire The Old Lady. Definitely different from the Nigerian system in more ways than one despite the presidential system which is supposed to have been patterned after the US system. 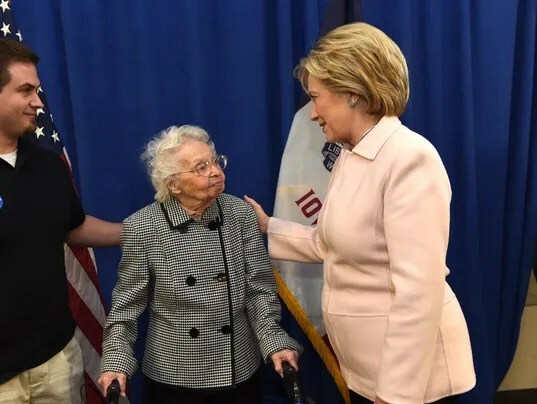 Yes, isn’t it amazing that at over a century years on earth, The Old Lady is not just certain of her choice but is afraid of the other candidate whose candidacy raises a scepter of evil over the United States with his divisiveness, emptiness and vindictiveness?